I’ve been to Bali thrice as a tourist and always had different experiences. It is dubbed as the “Island of Gods” — and is undoubtedly one of the most popular vacation destinations in the world. True, it has active volcanoes and a sea of tourists (mostly Australians), but it also has a reputation for being stunning, rejuvenating, and soulful (think Eat, Pray, Love). Despite the recent eruptions, tourists continue to flock Bali, as long as they stay away from the danger zone which is only within a radius of 8-10km from the summit of Mount Agung. There are plenty of things to do and explore in Bali, so planning a trip here should be exciting – whether you’re with family, a group of friends, romantic date, or even solo. Bali climate, in general, is tropical, humid, and warm all year round. The rainy season lasts from October through March, while April until mid-October would be the dry season. The best time to come to Bali is in April, May, June, and September, just before and just after high season. Room prices and villa rentals can be 30-50% cheaper than during high season. Bali is busiest during the months of July and August, during Easter Holidays, and Christmas/New Year (December until 1st week of January). If you’re travelling from an International destination, you’ll be landing at Depansar airport. Which means, if you look at the map, it’s better if you stay for longer days in Seminyak area (beside Kuta) since it’s the closest to the airport. There are loads of things to do here, albeit a bit touristy and chaotic with all the motorbikes around. But it will definitely provide you with lots of flexibility to explore other areas of Bali via bike or car. If you’re a surfer (or been wanting to try!) then consider staying in Canggu, just a few kilometers up north of Seminyak. It’s basically surfer’s paradise and they have the hippest restaurants and bars you can find. If you want to come to Bali for some nature and relaxation, then I would highly suggest staying in Ubud. It’s the haven for yoga, meditation, and everything ‘hippie’. The rice fields are pretty much at your doorstep, and there are tons of vegan-friendly restaurants to choose from. The Ubud area is often considered the cultural and spiritual capital of the island, also a popular tourist destination with many top-notch mountain villas, ancient temples, and colorful rituals. For beach and adventure goers, try the South of Bali like Uluwatu, close to Jimbaran. 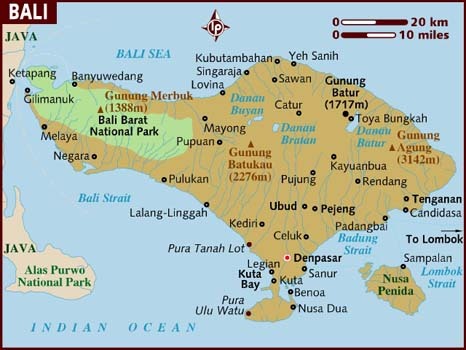 Consider a day trip or two to one of the amazing islands around Bali – Nusa Dua or Gili islands. I personally haven’t been but waiting to discover it one day. You can’t go wrong with Bali sunsets. They have the most picturesque seaside and they know how to vibe up the place pretty well. Hang out by La Plancha in Seminyak beach and chill out on the colorful bean bags from sunset ’til night. Or check out La Brisa in Canggu, the newest and hippest beachside bar that is totally Instagram-worthy. Don’t expect a white sand beach in Seminyak though. If you want to suntan in a decent white sandy beach, I suggest you visit Sunday’s Beach Club in Uluwatu or Padang Padang beach. Need your coffee fix? No fret — Bali is great for coffee lovers! There’s an amazing cafe scene in Bali and many of them have a distinct European flavor. There’s a whole list of quintessential and impressive cafes with quality coffee just around Seminyak, Kuta, and Ubud. Some of the good ones are Revolver Espresso (hip coffee shop) in Seminyak, Anomali in Ubud, and Shady Shack (organic coffee) in Canggu. 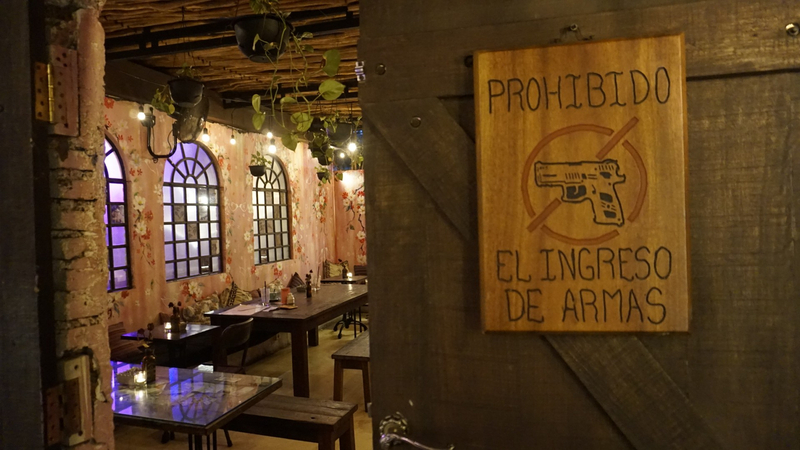 The cafes here also comes with free Wi-Fi which is why it’s also a haven for digital nomads. 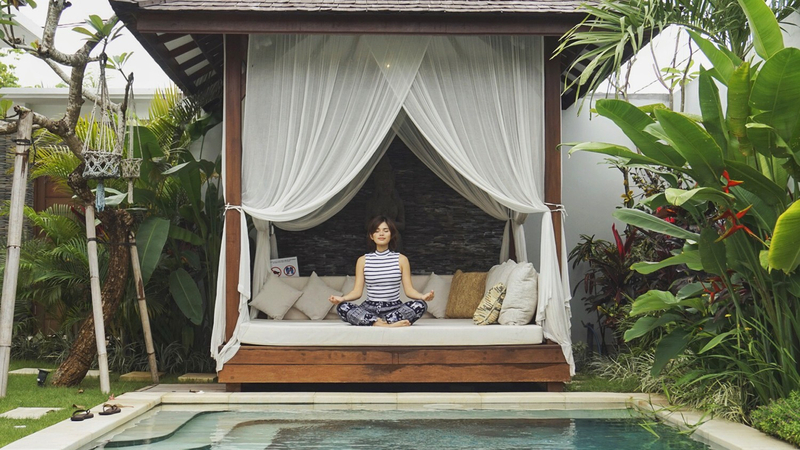 “Namaste!” – In need of some relaxation and time to reconnect with nature? 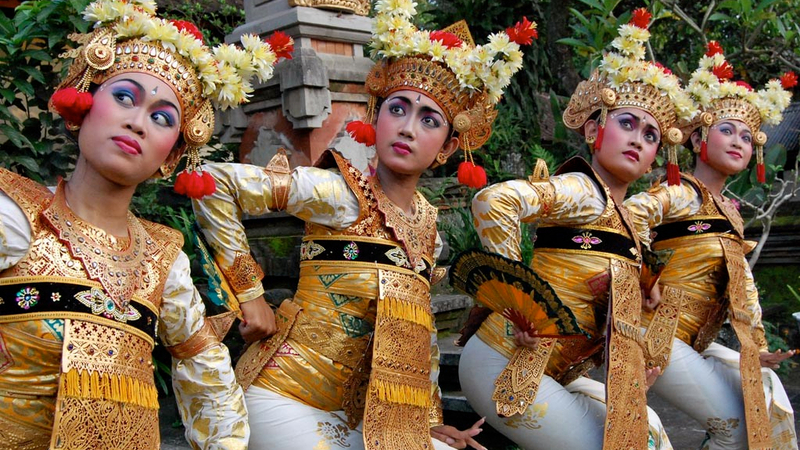 Bali is the perfect place for that, especially in Ubud. You won’t go wrong with its exotic locations and calming natural settings. There are hundreds of yoga and meditation retreats to choose from, but the most popular one (and I’ve personally tried) is Yoga Barn. They’re the main yoga center in Ubud and offers classes for all levels, including yoga retreats and meditation classes. This might be the most obvious one (and ironically the most overlooked). Because despite the amazing sunsets, cafes, and nature retreats, the true Bali lies in its authenticity and rich culture. I mean, culture is everywhere you look — from small offerings sitting outside shops, to thousands of temples that reside everywhere from hotels, resorts, and even by the roadside. In looking for tours, TripAdvisor is your best guide for good tour reviews. You can check out Bali Golden Tour, which usually takes you to Tanah Lot and Uluwatu temple for that must-needed cultural tour. One of my most favorite cuisines in the world is Indonesian. I love Nasi Goreng, Chicken Satay, and Curry! And what joy it is to have some real, authentic Indonesian cuisine. If you’ll ask me, I had one of my best meals in Bali at a very small, home-cooked casual restaurant I found along the road while exploring the streets of Seminyak. It was so cheap, around $3 a meal, and didn’t have that fancy Western flair. 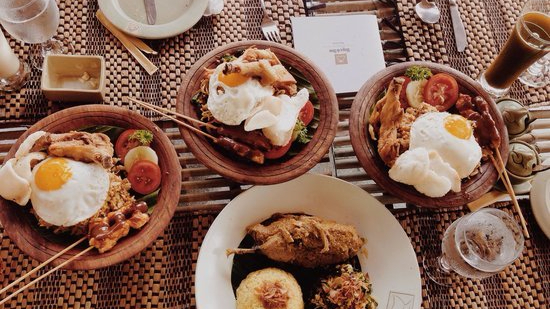 You’ll find loads of these home-cooked meals and lesser known restaurants, but if you want that top-notch culinary experience, try Mama San Bali (Seminyak), The Savage Kitchen (Canggu), and Melting Wok Warung (Ubud), to name a few. Check out this complete guide from Bali Bible on the best restaurants with reviews. Be careful where you exchange your money. It’s easy to get ripped off here, so make sure you go to a reliable money changer. Airports are the most reliable but have the lowest exchange rate. Once you’re in the city, look for a “PT Bali Maspintjinra” sign, as they are also pretty reliable and honest Money Exchange businesses. Bring an adapter as the voltage they use is 230 V Type C and F (two-prong) plug. Try GoJek for anything — getting a bike ride, delivering food, getting your groceries, etc. Seriously, this app makes your life so much easier. As much as possible, avoid peak season. Everything’s more expensive, and there’s worse traffic. Rent a bike! It’s the best mode of transportation to explore Bali!